We are expert electrical contractors specialising in energy efficiency. We’re usage experts AND expert retrofitters We use quality products that deliver the best ROI long-term The products we represent are warrantied and so is our labour We’re experienced with all kinds of buildings and uses We take great pride in our work. We specialise in looking at your electrical usage as a whole and providing a plan of attack tailored to your business, your patterns of power usage, and your power needs both now and in the future. With power prices rising, we’re really excited about helping Australian businesses cut power usage whilst improving their lighting power quality. We want to see your hard earned dollars stay in your business and not be thrown away to the power companies. Make no mistake, power prices are going to continue to rise. The amount of money businesses can save is massive. Let us help your business build a plan, assess, implement, reduce, and save. Investment in energy efficiency pays for itself and delivers big dividends! Take back control of your power today – call 1800 We Lower We have no conflicts of interest Our #1 priority is to provide you with maximum energy savings at minimal expense. Our goal is for you to be cash positive. We want to see your business save as much money as possible as soon as possible. We stake our reputation on it. We are not a lighting company – we do not import cheap product We are not a power factor company – we install power factor correction when needed We are not a normal solar company – we ONLY install safe, reliable solar systems that will last the 25 years, producing the correct amount of power. We recommend the best product and solution for the needs of your business. If power factor correction equipment won’t provide sufficient savings to justify the investment – we DON’T recommend it. If we believe you can have optimal lighting with only 1/3 of your current number of fittings, we’ll recommend cutting out 2/3 of your lights based on our primary focus which is maximum energy reduction. We install the highest quality light fittings that will outlast the cheaper competition many times over. We want your business to carry on for the next 10 years without calling us or anyone else to change anything. 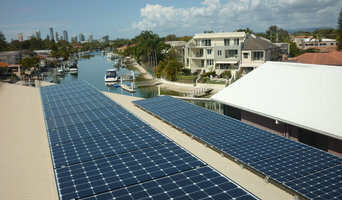 Solar Panel Solutions Aus is an Australian owned an operated solar energy company with a location in the Gold Coast. Our goal to is to help people to take control of how and where they get their energy in a sustainable and cost effective way. It makes sense for us to provide information on solar costs and installation to help our potential customers make an informed decision before purchasing solar for their home or commercial building. 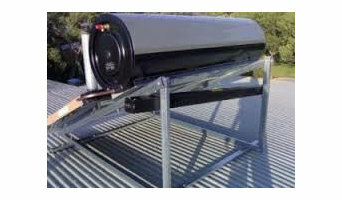 We would request you to spend a few minutes getting to know more about Solar Panel Solutions Aus. We are a reputed firm that is into the business of offering quotes for various solar panel requirements and also helping with installations. We therefore can be tried out if you are not only looking for the best solar panels gold coast prices but also for somebody who has a good background for offering reliable, honest and factual nformation on the subject matter. Please get in touch with us and we will be able to offer our services to clients in and around South East Queensland and also from Northern New South Wales. Supreme Power is the leading supplier of solar panel panels in Queensland covering the Gold Coast, Brisbane and Sunshine Coast. Give us a call today for a fast and friendly service for all residential and commercial solar power panels. 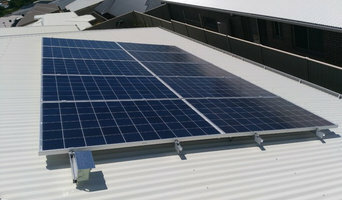 Do you require Solar System Brisbane services? Then, Solar Miner is the affordable provider of systems for Commercial Solar Brisbane or Residential Solar Power Brisbane services to deliver clean energy to businesses, schools, homes, or companies. Here, we believe in efficiency and innovation when it comes to energy solutions which is why we will help you find the best solar panels with the latest technology for your property. For more information, call our solar specialist at 1300 285 885. Gold Coast Energy solar system designers and accredited installers have the experience to handle almost any type of installations and are of the highest level of service and quality. All of our team are very passionate about living on a healthy planet so we bring awareness to thousands of people by publishing on-going stories and breaking news regarding ethical practices, environmental issues and conversational topics. Committed to helping our customers manage the transition to a sustainable, cleaner and more energy efficient future, we take pride in our high standard of training and accreditations, assuring that we are always on top of the constant advances within our industry. Todd's has been your trusted experts solar power and solar hot water systems for over a decade. Get the best value products & prices installed by the very best! Rheem has been around for nearly 80 yrs , since 1937 all products are manufactured here in Australia,Today we are the largest appliance manufacturers of 70% in Australia, As we have also partnered with energy savings group to help reduce energy costs , so you can be more energy efficient and environmentally friendly , we have options and solutions . With our premiemim rang of stainless steel systems. The team at Brisbane Solar Needs have a wealth of experience installing solar panels on homes all throughout Brisbane and other parts of Queensland. If you’re considering having a solar system fitted to your residence, make sure you speak with out qualified and professional technicians first. With years of experience installing solar panels on all sorts of different roof types, our team will recommend the best solution for you. After an initial consultation we can determine what sized solar system would best suit your needs, and the best way to install it. All of our systems are designed for maximum solar absorption. Our panels are all made of from the most durable materials and are of the highest quality. We guarantee you will be overjoyed with your new solar system, and you will notice the benefits from it immediately. To find out more about our services and how we can help you get some highly efficient solar panels fitted to your home, get in touch with someone from our team today. With our knowledge of the solar industry and all things to do with solar installation, we’ll be able to answer any questions you might have. Go on, pick up the phone and get in touch with us today. What solar power systems are available? The two main solar power systems are on-grid and off-grid. On-grid systems – also referred to as grid-tied and utility interactive – are connected to your mains power supply. If your Gold Coast, Queensland home produces more energy than it uses, your meter goes down and you generate credits with your energy provider (check your state government for details on any rebates available). On-grid solar panel systems have lower equipment and installation costs, and will save you money through net metering. An off-grid solar power system uses battery banks to store the electricity you produce. These battery banks store the sun’s energy so you can use electricity at night or on a cloudy day. This system is designed to keep household electricity running for about two or three cloudy days; longer cloudy periods require a backup generator. Off-grid systems are most suited to households that have no access to the utility grid, and are sometimes a cheaper alternative to extending power lines in remote areas. Hybrid and portable solar power systems are additional options. A hybrid uses two or more renewable energy sources – usually wind and solar, while portable solar systems are used mostly in farming, fishing and camping, and can be set up when there is no access to mains electricity. What types of solar panels are available? There are three main types of solar panels that can can generate electricity for your Gold Coast, Queensland home: monocrystalline, polycrystalline and hybrid. The basic monocrystalline celled panels are fairly efficient and have outstanding performance in cooler conditions, but are marginally more expensive than polycrystalline, which works better in hotter conditions. Hybrid panels use crystalline cells with a thin layer of film, which attracts more energy. This makes hybrid models the most efficient solar panel installation, but also the most expensive. To talk about which solar panels are best for your home and how much energy they produce, contact a Gold Coast, Queensland solar panel company or installer on Houzz. Can you give me any information on solar rebate programs? Find a solar power contractor on Houzz. Search the Professionals section for Gold Coast, Queensland solar power contractors or browse Gold Coast, Queensland Photos of completed installations and then contact the professional responsible. Here are some related professionals and vendors to complement the work of solar power contractors: Lighting, Pools & Spas, Electricians.